Pre-bookable routine appointments are available daily. These can be booked @ 9.30 am with any GP. These appointments will be for the next working day or exactly 7 days ahead. They can be booked either in person, via the telephone or through our On Line Booking System from 9.30 am, subject to availability. Urgent appointments are available each working day from 8.00 am. These are 1 problem only appointments & will be with the most suitable clinician. All urgent appointments will be sit & wait appointments and patients will be asked to give a brief outline as to the nature of the problem. To book an urgent appointment please telephone (0116) 2898111 or book in person at reception. www.foresthousemedicalcentre.co.uk you will need a password for online appointments, available at reception. The appointment system is reviewed regularly and may be subject to change in the future. There may be times when you feel that a problem can be dealt with just by talking to the doctor on the telephone. Please telephone the surgery to book a telephone appointment the receptionist will ask for brief details regarding your call which will be passed to the most appropriate person to call you back. 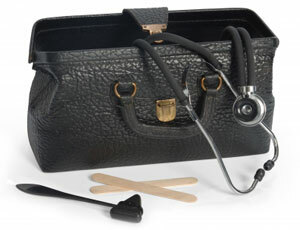 When attending the doctor or nurse for some examinations or tests you may prefer to have a chaperone present. Forest House Medical Centre has a chaperone policy available to read on request. Listed below are the normal working patterns of each GP, please note these are subject to change due to sickness, holidays & training.